How long is it okay for an air mattress to be inflated for? How long you want to keep an air mattress inflated for is going to depend on your reason for using it in the first place. The only time you will really want to keep an air mattress inflated for any length of time is if you are using it as a replacement for a solid bed. If this applies to you then you may be wondering what the rules are regarding inflation and deflation. You will find lots of useful information if you check out the latest air bed reviews. What you may not find is any details about how long you should leave an air mattress inflated for. This is because manufactures don’t generally have any rules or suggestions for this. We are going to give you a few tips to consider, to help you out. What problems could keeping your air mattress inflated cause? 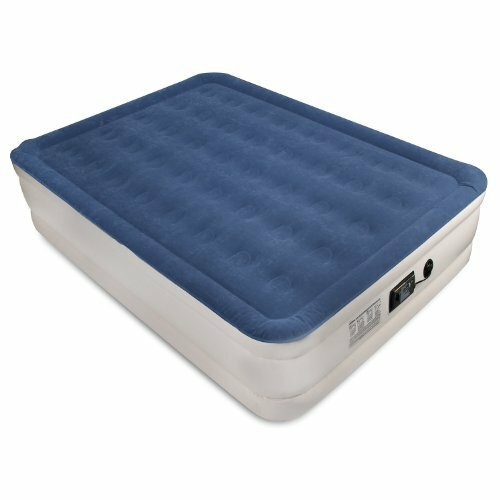 The vast majority of people purchase an air mattress as a temporary sleeping option in their home, or for use while camping. If this is you then you probably won’t want to keep your air mattress inflated for any significant period of time. However, if you do need to use an air mattress for a longer period of time then there are some things you should be aware of. The first thing we should point out is that there is no actual recommended time limit for keeping an air mattress inflated. The main problem with leaving your mattress inflated is that there is more chance of an accident happening if you do. If you have children or animals in your home, they can be boisterous. It’s all too easy for them to cause damage to an inflated mattress without intending to. What could happen if you inflate and deflate an air mattress often? If you are using an air mattress for an extended period of time then you need to consider both sides of the coin. While you may be exposing your mattress to damage from cats and dogs by leaving it inflated you may also cause damage if you constantly inflate and deflate the mattress. Although air mattress are obviously designed to be inflated and deflated, completing these actions all the time can put excess pressure on seams. As you can probably imagine this is not a good thing as it can lead to the seams bursting. This in turn can lead to you having to repair or replace your air mattress. Overall, if you are using an air mattress each day it probably makes sense to leave it inflated. If you decide to do this then you should try end keep the mattress away from any potential sources of damage. If you can manage to do this then you should not encounter any problems, except having to top up the air when the mattress naturally deflates a little over time.